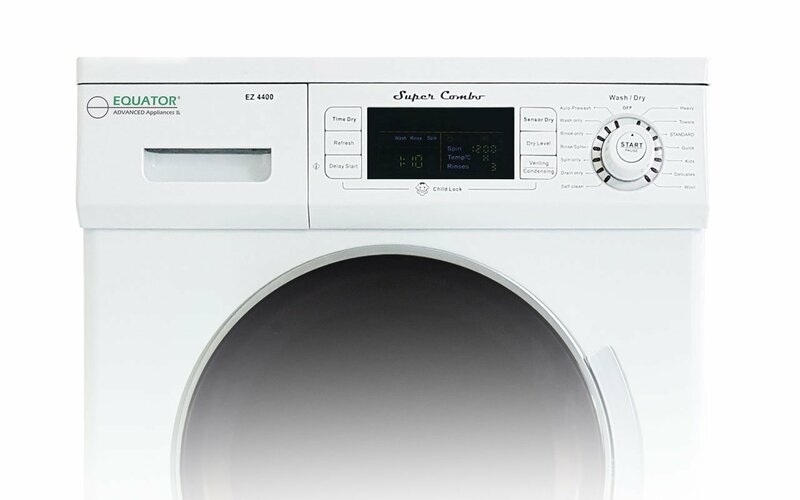 The award-winning Super Combo Washer-Dryer is an innovative marvel that easily converts from a venting to condensing machine with the push of a button, making it a versatile fit for any space. At only 33.5” x 3.5” x 22” (HxWxD) the petite unit is the slimmest combo in North America. It easily slides into small homes, apartments, RVs or anywhere space is an issue. Brimming with new features, the 1200 RPM unit includes an automatic water level sensor to accurately determine load size and conserve water. 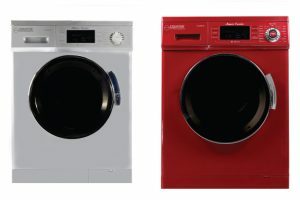 Users can set wash selections into the new LED display and delay start for convenience. The sensor dry feature protects clothing by achieving the ideal level of dry, while a refresh function helps keep clothing wrinkle-free. 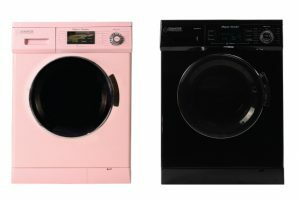 Customer-favorite features like 14 programmable wash and dry functions to protect any fabric type add a touch of familiarity to the cutting-edge innovation. The angled 45-degree door handle reduces bending to eliminate back strain and pain. The machine further tailors to user needs by providing Wash Only and Dry Only options. The 15-patent Super Combo meets the strict energy standards of 2018, ensuring that the energy-efficient machine will be as efficient as future machines for years to come.